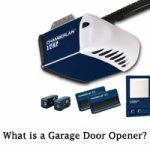 Garage Door Opener Buying Guide 2019 | How to choose best one? Garage Door Opener Buying Guide: A garage door opener provides you easy, dependable operation, reliable, quick access to the home and improves security and also budget-friendly model, there is an opener available which has performance, power and some features useful for home. 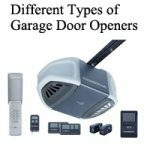 The below article Garage Door Opener buying guide explains about what are types of garage door opener available. Also, how they work and some of the highlighted smart features and the accessories you receive with Wi-Fi supported openers. There are many different factors you need to consider before purchasing the garage door opener. Openers are generally available in different sizes and styles. In order to fulfill the all your needs to the best, it is very important to know how to choose best garage door opener 2019 and which garage door opener is best for my garage and how to purchase the garage door opener. The standard garage door opener has the same design. A motor drives carriage or trolley along a rail. The trolley is connected to garage door and if trolley moves, then it pushes the door to close and pulls the door to open. The key difference for various types garage door opener lies on the motor that how it moves the trolley. A chain drive garage door opener uses the metal chain to move the trolley to lower and raise the door. This type of garage door opener is economical but to tend to vibrate more and produce more noise compared to other types. If you have a separate garage that is not near home then the noise is not a big issue. But if the garage is under the bedroom or living room then it is an important factor to consider. A belt drive garage door opener is similar to chain drive garage door opener but it uses a belt instead of metal to move trolley. This has a smoother operation which is a suitable and good choice for a home with a living room and spaces adjacent to the garage. Belt drive systems have fewer moves parts so it needs less maintenance. A screw drive garage door opener uses some threaded steel rod for lifting mechanism. As this rod rotates it moves the trolley along with the track which is used to lower or raise the door. This also has less moving parts like belt drive garage door opener requires reduced maintenance. A direct drive garage opener is a quiet mechanism where motor itself act like a trolley and moves along the track, lowering and raising the door. Finally, it has an only single moving part that is motor which requires less maintenance with reduced noise and vibration. What to look for when buying a garage door opener? There are three different sizes of garage door openers available. ½ horsepower, ¾ horsepower, and 1/3 horsepower. This is the first one you need to refer in the Garage Door Opener Buying Guide. You need to examine if you want an opener for lifting 1 or 2 doors. You also need to consider the size and material of the door. If you are planning for an opener to lift the double doors then you need an opener which has at least ½ horsepowers. The opener with 1/3 horsepower can lift a single door. However, the opener with much more power will long last. For heavy, large and oversize doors it needs the high and most power horse. There are different types of drive systems available. Decide which one suits you the best. The best drive garage door opener, metal chain garage door opener, screw drive garage door opener and direct drive garage door opener which we already discussed in the above lines of Garage Door Opener Buying Guide. The regular opener opens at 7 inches (17.8 cm) per second. Some models may be slow and some of them may be fast depending on their functionality. Whether the installation can be done by yourself? Do you need a retailer who helps you in completing the installation process? Do you have an outside party who completes the installation process? These you have to decide after referring complete Garage Door Opener Buying Guide. As you came to know what you need from Garage Door Opener Buying Guide, once visit stores such as Sears, Home Depot, Lowe’s. Most of the private businesses that sell and install garage doors will likely sell garage door openers. Discuss with the salesman about all your needs and desires for your garage door openers. Know and view the different brands and models that meet your requirements. Compare the features and prices of each opener that you are interested in purchasing. Know all the features and choose the best from all the remaining openers which serve your complete needs. Examine the Guaranties and Warranties offered with garage door openers: Look for the longer warranty period and term which covers the motor of the opener and the parts. Look for a manual emergency cord, timed reverse feature and automatic lights because they serve the best purpose and also satisfies your needs as a good garage door opener. How to choose the best Garage Door Opener? There are so many Garage door openers available in the market. From the available garage door openers, it is really difficult to choose the best one. For that purpose, the people should consider some the factors that help you in deciding the best garage door opener. Here are those factors included in this Garage Door Opener Buying Guide. One of the main considerations for the garage door open is that it should be drive type, which refers to the actual belt, chain or another mechanism that lifts and moves the door. In some of the circumstances, the motor’s horsepower output should be considered as well. It is not mandatory in all the cases but typically in industrial or commercial settings. Chain driven openers also tend to be some of the affordable options; however, the strength and durability of the chain driven garage door openers come at the expense of noise. Chain driven are ideal for heaviest garage door types, one piece wood doors, heavily or wind rated insulated doors, including oversized doors. Most of the upgraded chain driven models come with the chain separators to help stop the chain from hitting against the track, which reduces the noise of a chain drive. Screwdrivers use a long metal rod threaded like a screw to close and lift garage doors. As it possesses very few moving parts, a screwdriver tends to be reliable as well. If you consider noise as a problem then it is better to opt screw drive opener’s which is in the middle of the pack. They are not as silent as direct or drive but it quite better quieter than chain drive openers. Screw drive openers need a bit of more maintenance than the other types. Instead of having less moving parts, the thread metal rod tangles against the drive section with help of plastic teeth in order to catch the threading. Without proper lubrication, the rod can wear out eventually, so it is important to grease it regularly. Type of the garage door should also be considered. For heavy wood one-piece doors, the extra strain and weight can wear teeth in the inner works of the drive prettily down. This makes the screwdrivers most efficient with single car steel doors or garage doors since the thinner materials cut down on the weight. Screwdrivers openers also offer some of the faster speeds available. Newer models can open at 10 inches and 12 inches per second as opposed to more standard 6 inches to 8 inches per second of the most drive types. Belt drive openers use a rubber-like belt on a cog to close and open doors. Since the opener doesn’t have the banging metal parts, loud is the best option available. Consider your garage door. IF your door makes a lot of noise on its track, then the lower volume of the belt may be moot. Pay special attention to the current belt drive openers. Alternating current belt openers stop and start at full power, which causes the door to jerk into movement and also lead to noise despite the relative quiet of the drive. Direct current belt offers soft stops and starts which reduce noise even further, as well as reducing wear and wear. Though available in fewer models, these alternatives are gaining in popularity and also offer additional options for quiet door openers. Jackshaft openers are attached directly to the front wall of the garage, meaning no overhead parts. These modes also use cables attached directly to the garage door along with the pulleys and a rolling torsion bar to lift and lower the door. Many models of the computerized system include an automatic deadbolt that locks when the door closes for added safety. These Jackshaft openers are the most expensive models available and also the cable system means that they only work on. Direct drive openers still have a rail with the chain, but the given motors move on the track with the door via J- arm connected to the motor. These models are extremely quiet as the motors move instead of a chain. They tend to come with a good lifetime warranty and also good functionality. They are extremely good as the moving part is only the motor. Which Garage Door Opener is best for my garage? We have provided all the functionalities and also the steps to choose the best garage door opener in the above sections. Consider all the functions and also the specifications of the garage door opener and choose the best one which satisfies all your needs. Also, check the range of price you want to buy and opt for the best garage door opener. As the complete Garage Door Opener Buying Guide is given here, it will be helpful for the individuals who want to buy it. It serves all the purpose of the individuals who are going to buy the garage door opener for the first time. Choose the best garage door opener which suits the best for your purpose. For more info, visit Garage Door Opener portal regularly.